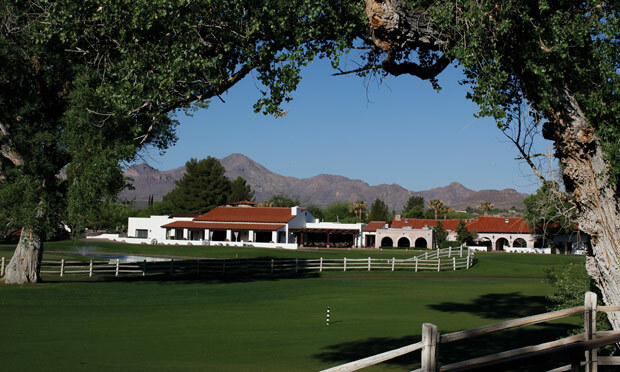 The Anza Nine is named for Juan Batista De Anza, who was the commandant of the Tubac Presidio and let an expedition west that ultimately founded the city of San Francisco. 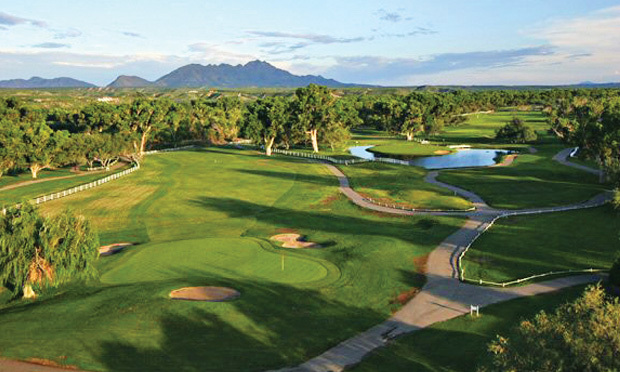 Stunningly beautiful views of the Santa Rita Mountains highlight the first five holes and the nine finishes with the famous par 3 island green. This Par 3 should remind you of the 17th at TPC Sawgrass, except for the cows of course. Finding the island green is tough enough with all that water, but throw in the spectators at the Stables Patio Bar Patio heckling anyone whose ball finds a watery grave, and it gets even tougher. Par is always a good score! The Rancho nine is, for the most part, the original back nine. 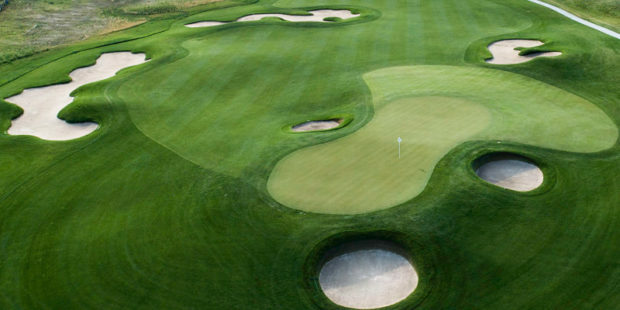 Three holes, the Tubac Triangle, were added to in 2008 as part of the course remodel. 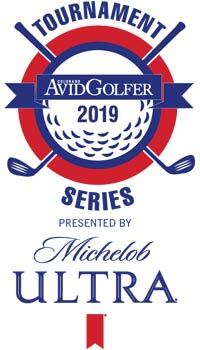 Requiring that opening and closing drives carry the Santa River, Rancho is the most challenging and scenic of the three, nine hole courses on the property. 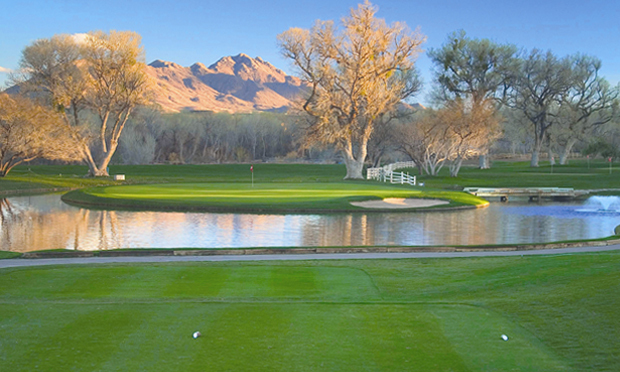 The long par 5, Tubac’s Tin Cup hole, requires three well stuck shots to reach the green. Keep tee and second shots on the fairway’s right side, away from the trees and thick rough on the left. The pond fronting the green prevents all but the longest hitters from getting ‘home’ in two. This hole was the setting for the scene in the movie “Tin Cup” where Kevin Costner was caddying for Don Johnson and Johnson wanted to lay up with a seven iron. Costner said he could do it and that is when Gary McCord, Peter Kostis, Craig Stadler and a young Phil Mickelson began to wager on whether or not he could pull it off. 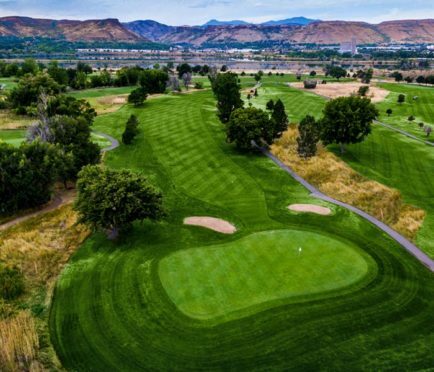 The Otero nine is the original front nine, designed by Red Lawrence, the Otero nine is named for the Otero Family who were the original settlers of the property dating back to 1789. 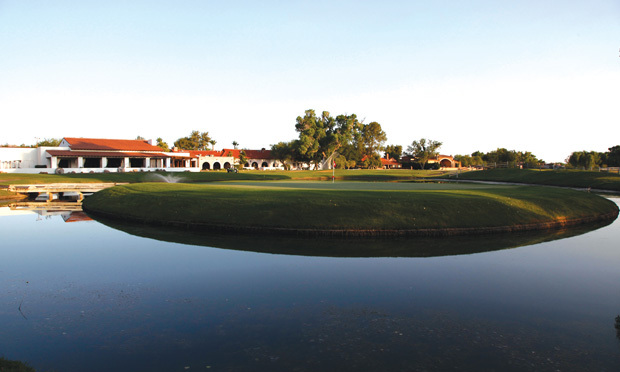 A parkland layout highlights the experience as the fairways meander through some of the original homes and casitas of the resort, providing a lush, manicured experience. Water guards the entire left side of this ‘drivable’ Par 4. We are talking risk and reward big time here! 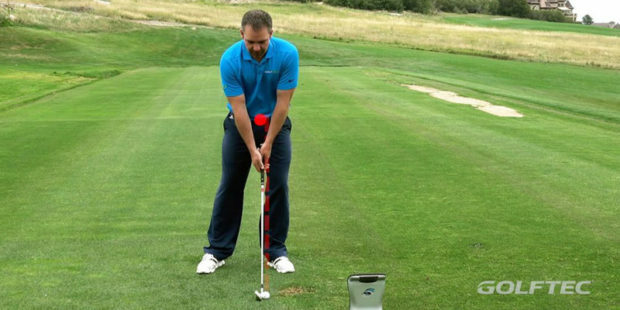 And even when your drive stays dry, your second shot will test your nerve again. 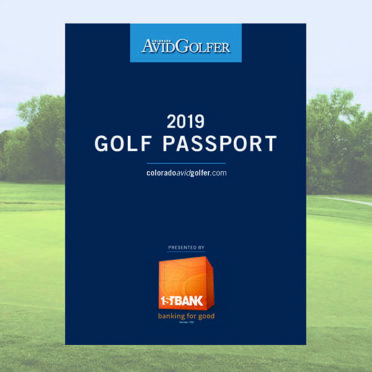 Take your par and go! These three very playable nines, provide new and interesting shots that will keep you coming back for more. 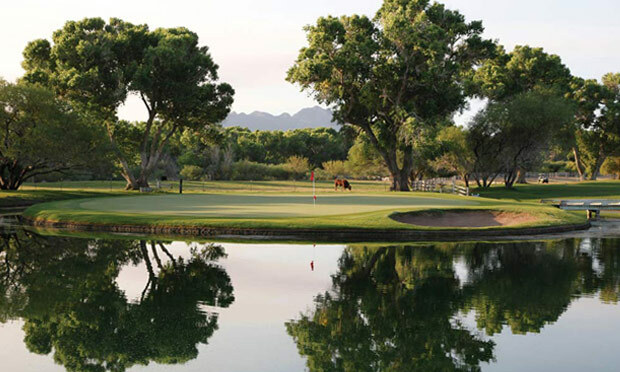 Visit Tubac Golf Resort & Spa.